Advice for writers: do you need a writing software? Some people write by hand or use typewriters. I love paper, but I write and rewrite my drafts so many times that computers are a life saver. 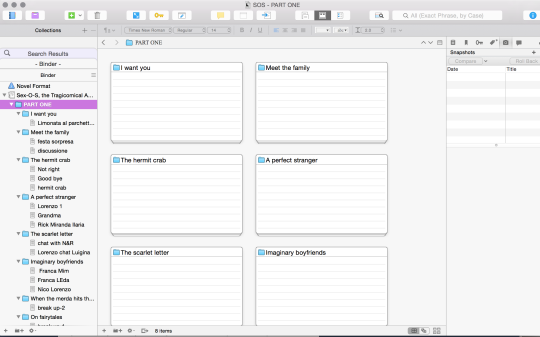 This is what an outline looks like in Scrivener; you can swap chapters around as you like. 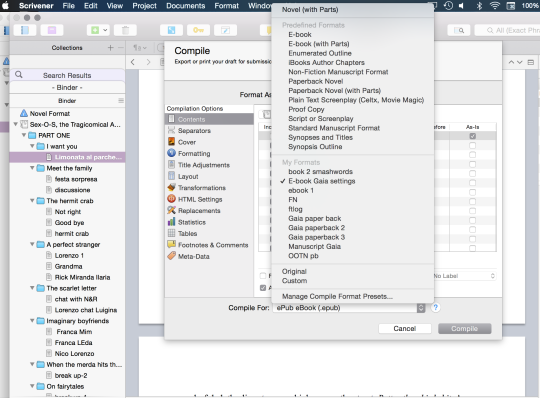 The very same chapter, formatted for a paperback will have an asymmetrical space left for binding, headers etc..
Another cool thing you can do with Scrivener: you can take an editable “picture” of your chapter at anytime. 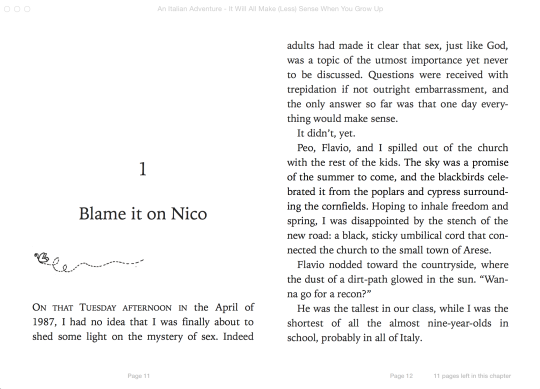 You can compare that chapter with the previous version or roll back to it. Things that Scrivener is not ideal for. 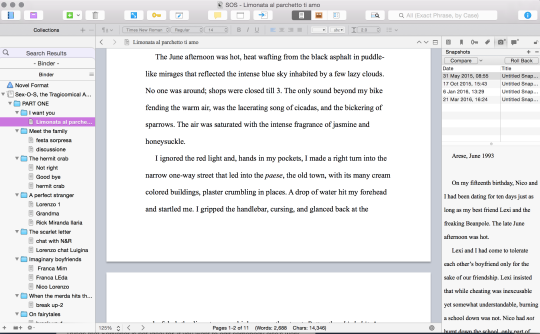 If you want to edit somebody else’s work do not use Scrivener. As of today (or as far as I know) there is not a good way to “track changes” like you would in Pages or Word. 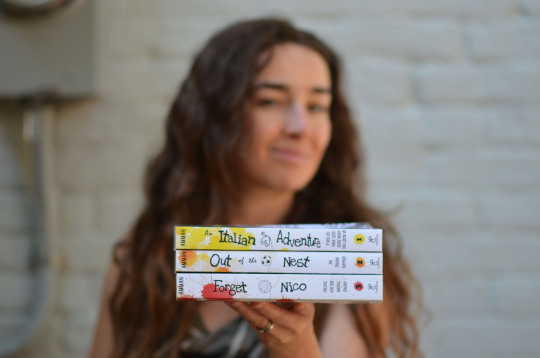 I am an indie author who did it all herself and I’m here to tell you how ;) I am the author of The Italian Saga (#TIS) A series of YA novels taking place in Italy.